• National Geographic and PONANT create a new strategic partnership to develop its Small Ship Expedition programme in Australia, NZ and Asia Pacific. National Geographic Expeditions, the travel business of one of the world’s most trusted brands, and PONANT, the world leader of luxury expedition cruises, have today announced a new strategic partnership to create an extensive range of co-branded, luxury expedition cruises. With a shared common vision in premium experiences and responsible travel, PONANT and National Geographic Expeditions will offer an extensive range of expedition cruises throughout the world, targeting customers in Australia, NZ and Asia Pacific. PONANT is the world leader in luxury expedition cruising operating a state of the art fleet of 7 small ships, increasing to 12 by 2021, with the delivery of new Expedition class vessels and a luxury hybrid Icebreaker powered by LNG. The full fleet has been ‘clean ship’ certified and offers a number of leading-edge technologies to protect the environment, including recycling and reuse programmes, reduced exhaust emissions and sustainable purchasing practices. All efforts made by the luxury cruise operator are designed to respect the environment and marine life. 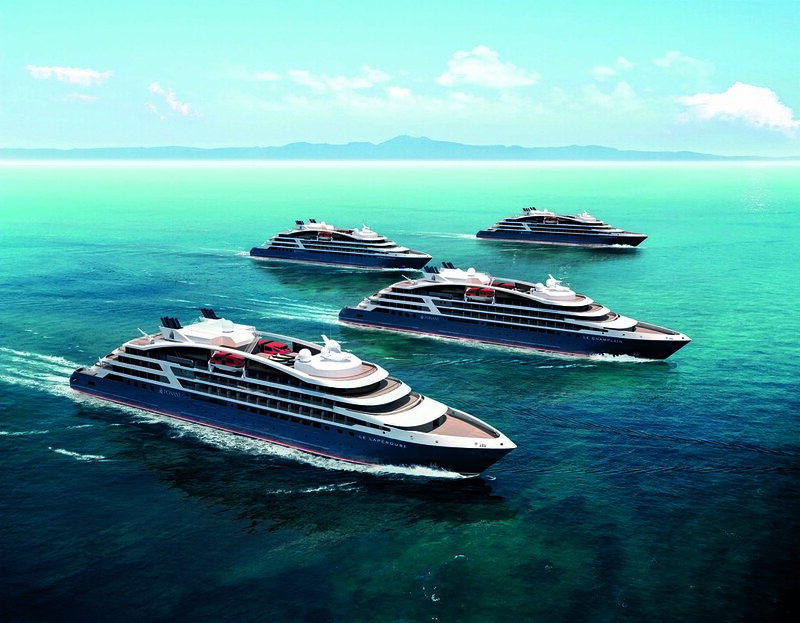 As part of the overall experience, PONANT will create unique itineraries to some of the most remote and inaccessible places on the planet, transporting guests in style and comfort along with innovative new features, including a new multi-sensory underwater lounge called Blue Eye. National Geographic Expeditions will provide a range of expedition resources on-board, including leading experts and National Geographic photographers to travel and engage with all guests to create an immersive and quality experience. The luxury ships will offer an intimate experience with total passengers ranging from 180 to 240 per cruise and 130 itineraries have been designed for the next four years, with prices per person starting from A$4730 per person. Core destinations will be the Antarctic and Arctic, which will be complemented by a range of global expeditions covering all continents. Sarina Bratton AM, Chairman Asia Pacific for PONANT added “We are thrilled and gratified that one of the greatest specialist media companies in the world has chosen PONANT to be their expedition cruise partner. This partnership brings together two highly respected global organisations with shared values and a common goal to inspire guests to live curiously, explore our planet and become ambassadors for sustainability. Drawing on the National Geographic Society’s 130 years of exploration and storytelling, National Geographic Expeditions offers a wide range of unique travel experiences, including small ship voyages, private jet expeditions, small group tours, private tours, a collection of luxury sustainable lodges, and more. Trips are organised in over 80 countries on all seven continents, from the tropical atolls of French Polynesia to the peaks of Nepal and the ice world of the Arctic.